Founded more than 60 years ago, Car-Freshner Corporation is a global leader in automotive air fresheners. The company meets consumer demand for freshness by offering a number of air care products across several brands, including Little Trees and Perk. 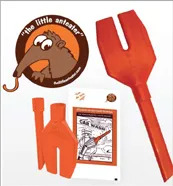 All Little Trees and Perk products are made in the United States. What’s News/Best Seller • Updated Package. Advantages/Features • The new packaging, featuring a swooping red banner with black accent along with the traditional look of yellow and green, brings modernization to the classic Little Trees logo. Loyal consumers will still find their Tree while new consumers will be attracted to the updated look. Diamond Shine has only one focus, car wash chemistry. The company is constantly developing new and innovative products and resources to make washing cars easier and more profitable. 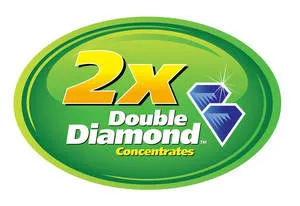 What’s New/Best Seller • 2x Double Diamond Concentrate. Advantages/Features • The 2x Double Diamond concentrate product line doubles the concentration of traditional drum products, reducing packaging size and required storage space. Easy to manage dilution ranges improve consistent cost per car and application performance. Features include: easy to manage dilution ranges, smaller storage footprint, no premixing required, equal cost per car to comparable regular drum products, smaller packaging size eases handling, and the recyclable packaging reduces environmental impact. Car Wash Superstore is a superior choice for all of your car wash parts and supplies. 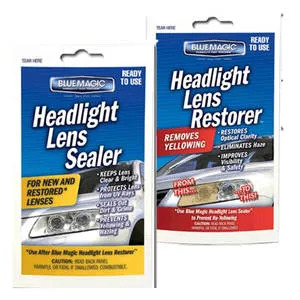 What’s New/Best Seller • Headlight Lens Restorer and Headlight Lens Sealer from Blue Magic. Advantages/Features • The Restorer revitalizes headlights by removing yellowing and haze which improves visibility and safety. The Sealer keeps the lens clear and bright, seals out dirt and grime, and prevents yellowing and hazing. Price • Limited time introductory pricing available upon request. Forward thinking professional car wash investors and owner/operators partner with Sonny’s because of its leadership, reliability, and expertise. Sonny’s education and software products support your profitability and its conveyorized car wash innovations, parts, and supplies keep your business growing. 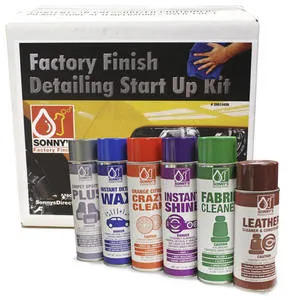 What’s New/Best Seller • Sonny’s Factory Finish. Advantages/Features • The auto detailing kit comes with a total of 12 pressurized detailing cans, two cans each of: Fabric & Upholstery Cleaner, Carpet Spot Remover, Multi-Purpose Cleaner, Leather Cleaner & Conditioner, Glass Cleaner, Instant Shine, and Instant Detail Wax. The kit allows detailers to try all the products in the line-up and determine which ones are suitable for their needs. Cans can also be sold in the lobby for added revenue. For more than 50 years, the Kleen-Rite car wash superstore has focused on providing car wash owners with the widest selection of commercial car wash supplies and equipment at the best possible prices. 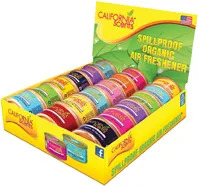 What’s New/Best Seller • California Scents Spill-Proof Organic Can Display. Advantages/Features • Made up of an assortment of California Scents top selling fragrances, this item is a great addition to any retail location. Organic cans fit perfectly into cup holders and are biodegradable. The cans are vented for scent control and are non-liquid, so there are no spill worries.